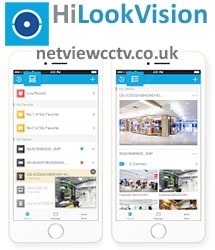 The HiLookVision app is designed to work with DVRs, NVRs and IP cameras which allows you to live view your device remotely. Just simply create an account and add the device by scanning the QR code or by inputting the serial number of your device. The App also allows you to play back & search recorded video. Instant message notification can be set to trigger motion detected events on the HiLookVision app.